“One of America’s best all-round intellects” scrutinizes books. In 1979, a voice on the radio attracted the attention of George Scialabba ’69. It was “gentle and earnest, logical, persuasive, politically astute,” he recalls. “I was surprised to hear it was Noam Chomsky, whom I knew only as a linguist.” Scialabba (shih-lob-uh) soon read some of Chomsky’s books, including The Political Economy of Human Rights, then just out, a two-volume series that, he felt, would “set American political culture on its ear.” Yet, six months later, “the culture remained upright,” he reports. He saw no reviews of Chomsky’s work. Bemused, if not outraged, Scialabba wrote his own 3,000-word review and sent it to Eliot Fremont-Smith, literary editor of The Village Voice. Scialabba admitted that he wasn’t a writer and had no expectation of publication, but wanted to suggest the kind of serious attention Chomsky’s work merited. Fremont-Smith wrote back to disagree, telling Scialabba that he was a writer, and that the Voice would publish his essay. That was in 1980; more than 350 essays and book reviews later—in The Nation, The Boston Globe, Commonweal, Dissent, Grand Street, The American Conservative, The Washington Post, and dozens more—Scialabba’s credentials as a thinker and writer are well established. 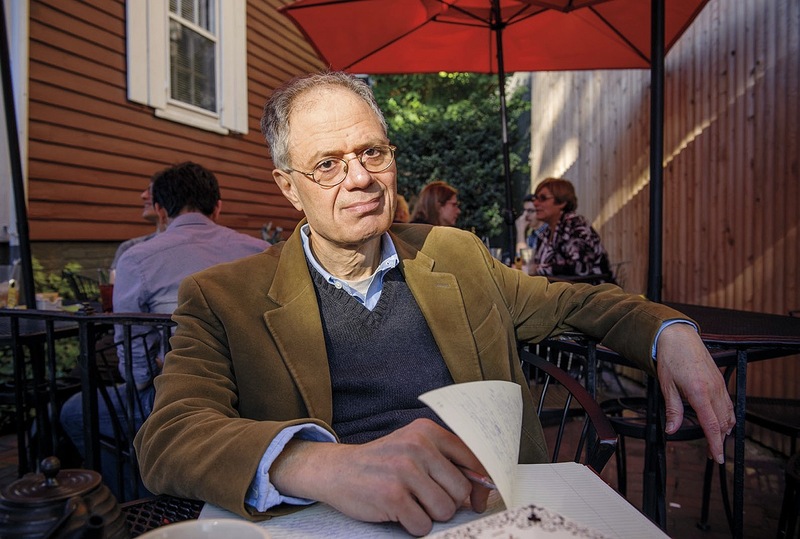 He publishes as a freelance critic while working a “day job” at Harvard, where he has been a staff assistant at what is now the Center for Government and International Studies since 1980.